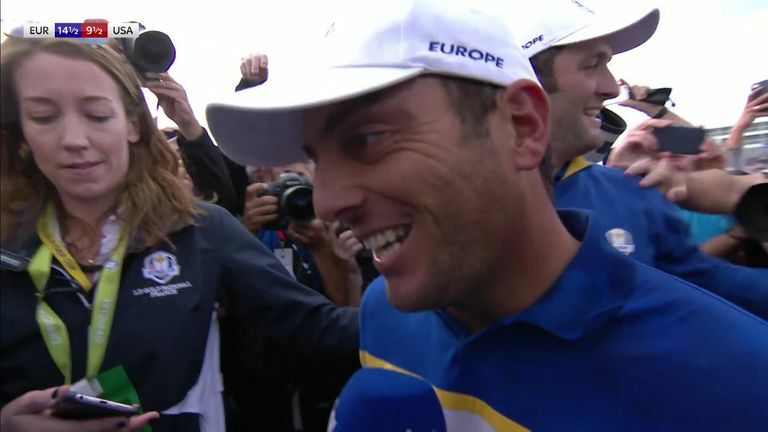 Francesco Molinari has enjoyed a career-best year and we analyse in greater depth what the Italian has achieved during a memorable and historic 2018 campaign. Molinari spent the early part of 2018 in the United States and made his first PGA Tour start on January 24 at the Farmers Insurance Open, where he started well enough with a 68 in the opening round but subsequent scores of 73, 73 and 74 saw him finish in a tie for 45th. It was a similar story a week later at the Waste Management Phoenix Open as Molinari tied for 40th, but he failed to make the cut two weeks later at the Genesis Open before steadying himself with a tie for 25th in Mexico, and a share of 26th at Bay Hill. Molinari had begun the year as world No 21, but his uncertain start to the year saw him slip to 27th when he was denied a last-16 place by Justin Thomas at the WGC-Dell Technologies Match Play, although there were encouraging signs at Augusta National as he finished in a share of 20th - just one place below his best result at the Masters in 2012. The Italian failed to trouble the leaders a week later at the RBC Heritage and, although he recorded his best finish of the year with a tie for 16th at the Wells Fargo Championship, he dropped to 33rd in the world rankings when he missed the cut at The Players Championship following two disappointing rounds of 73. But his golden summer was ignited by a return to Europe at the end of May as he produced a near-flawless performance to upstage Rory McIlroy and claim a handsome victory in the BMW PGA Championship at Wentworth. Molinari opened the tournament with a bogey-five, but he would drop only one further shot over the next 71 holes in a remarkable display of consistency, with blemish-free weekend rounds of 66 and 68 earning the title by a two-shot margin over McIlroy. His fifth European Tour title lifted him back to 20th in the world rankings, and he came agonisingly close to making it a sixth the following week in front of his home fans in Brescia at the Italian Open, but despite following three 66s with a classy 65 on the final day, he was pipped to the title by Thorbjorn Olesen, who closed with a 64 to prevail by one shot. After a week off, Molinari was back in action in the US Open at Shinnecock Hills where he was unable to contend for a third straight event, although he did finish in a respectable tie for 25th, albeit a distant 11 strokes behind back-to-back champion Brooks Koepka. But Molinari would soon be celebrating his second win in less than a month, and his first PGA Tour title as he powered to a comprehensive eight-shot win at the at the Quicken Loans National, where he was tied for the lead after 54 holes before leaving the field trailing in his wake after closing with a stunning 62. 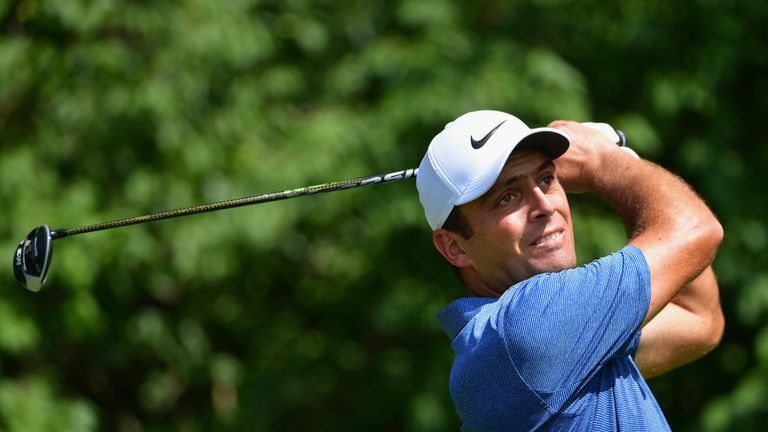 Molinari's impressive run of form continued a fortnight later at the John Deere Classic, but despite a final-round 64 not being enough to challenge runaway winner Michael Kim, the red-hot Italian pitched up at Carnoustie with his confidence at an all-time high. His Open record may have been disappointing, but he put that behind him over four memorable days at the historic Angus links, although there were few signs of what was to unfold when he shot 70, 72 to reach the halfway stage on level par - six shots off the lead. Molinari made a strong move on Saturday as he fired a 65 to get within three of the leaders and he defied the pressure of playing alongside Tiger Woods in the final round, grinding out pars on each of the first 13 holes before birdies at 14 and 18 capped an outstanding two-shot win - the first Italian to win a major championship. His landmark win hoisted him to sixth in the world rankings and, after a well-earned break and a tie for 39th at the WGC-Bridgestone Invitational, he kept himself in with a chance of winning consecutive majors at the PGA Championship but he was ultimately unable to keep pace with Koepka, finishing six strokes adrift and in a share of sixth place. Molinari looked a little jaded when he opened the FedExCup Play-Offs with a missed cut and he opted to rest rather than play at the Dell Technologies Championship, but he broke into the world's top five with another top-10 finish at the BMW Championship, where Justin Rose was crowned world No 1 despite losing a play-off to Keegan Bradley. The Open champion rounded off his PGA Tour campaign with a tie for 21st at the Tour Championship which left him in 17th place in the overall FedExCup standings, but he was soon making more history when he made his third appearance for Europe in the Ryder Cup. 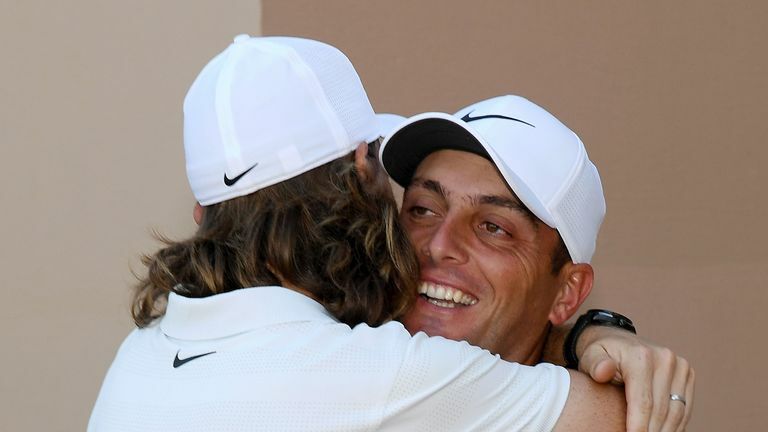 Having arrived at Le Golf National without managing a win at either Celtic Manor or Medinah, Molinari's pairing with Tommy Fleetwood proved inspirational as they won all four of their matches together over the first two days, and he became the first European to win five out of five when he wrapped up overall victory for Thomas Bjorn's side with a 3&2 triumph over Phil Mickelson in Sunday's singles. 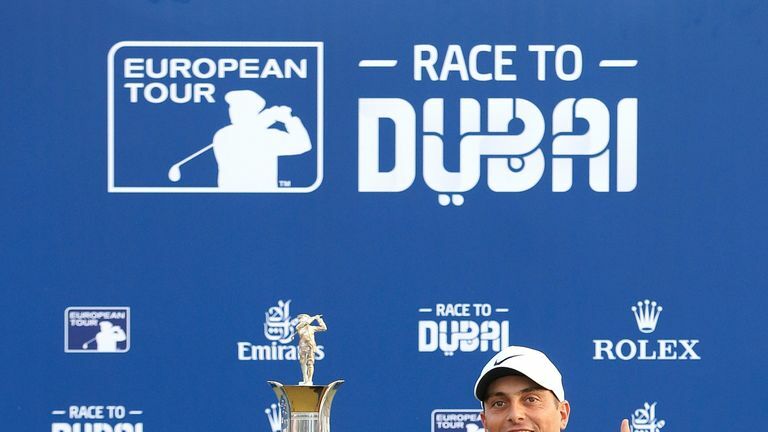 Molinari's busy schedule and the euphoria of his Open and Ryder Cup performances had clearly taken a toll as he struggled for energy at the Sky Sports British Masters and the WGC-HSBC Champions, but he added another trophy to his collection at the end of November as a tie for 26th was more than enough to secure the Race to Dubai crown. That would prove to be his final outing for the year as the world No 7 took a well-earned, extended winter break.